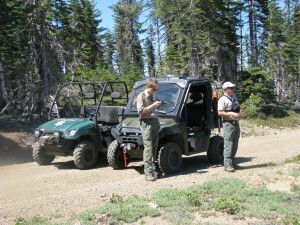 The team has two Polaris Ranger UTV’s. 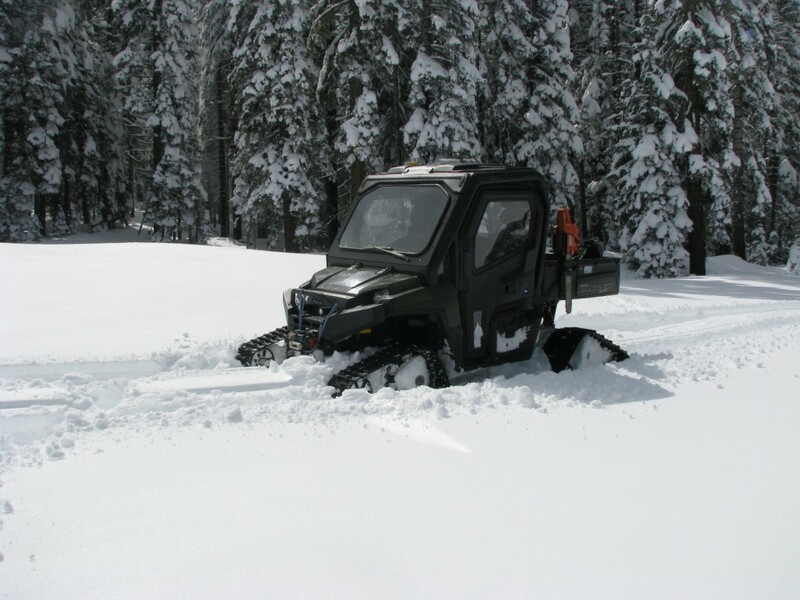 One Ranger is equipped with tracks during the winter for travel in the snow. 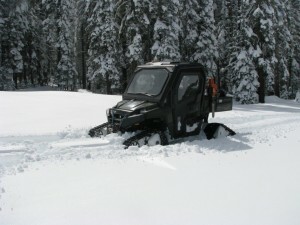 Each Ranger can carry up to three passengers in front, and assorted gear and equipment in the rear. There are special attachment points for carrying a Stokes litter in the bed of the vehicle for patient transport, if needed. 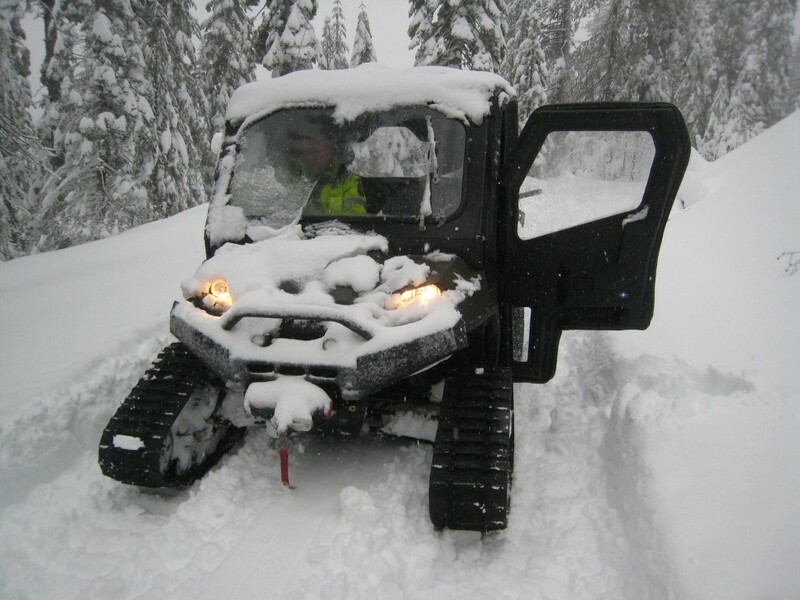 Assorted equipment includes a winch, LED lighting, VHF Radio, and a chainsaw.